The Race of Champions is an annual motorsport event that sees the world’s most skilled drivers from various racing disciplines compete against each other in equal cars where only talent itself is the key aspect, not the car being driven. The competition is divided into an Individual Championship and a Nations Cup, the latter of which pairs drivers together who are located within the same country. For example, Team Germany is made up of Sebastian Vettel and Mick Schumacher. However, beginning in 2018, the Race of Champions introduced a new component to its annual motorsport event that celebrates sim-racing. The inaugural eRace of Champions hosted in Saudi Arabia was won by Italian sim-driver Enzo Bonito, who has gone on to become an official driver for the McLaren Shadow esports team. With his victory last year, Bonito earned a spot in the actual Race of Champions event itself in the ‘Sim Racing All Star Team’ to compete in the Nations Cup. 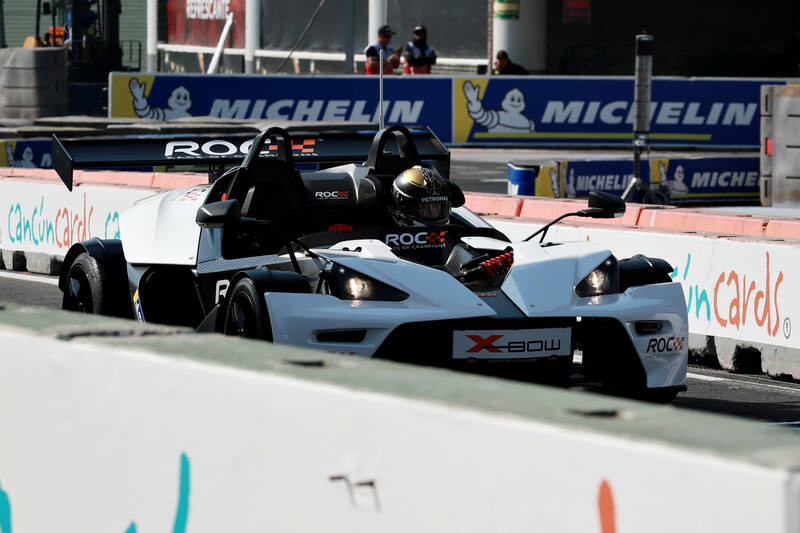 However, in order to find his teammate, another eROC series was held in the run-up to this year’s Race of Champions, which was hosted over the weekend in Mexico City. 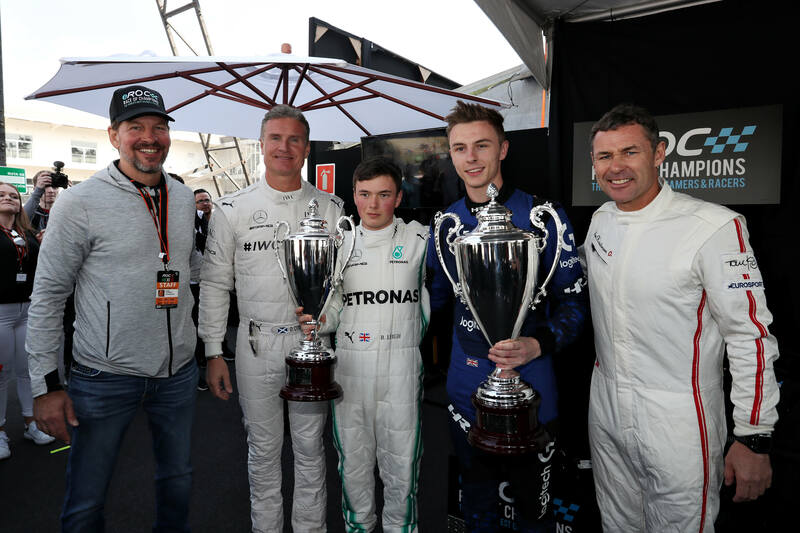 Mercedes-AMG Petronas F1 esports driver Brendon Leigh secured an automatic entry to the Live Finals in Mexico City through his victory in the F1 Esports Series. His competitors would include James Baldwin of Veloce Esports, who qualified via the eROC invitational event, as well as Sebastian Job of G2 Esports who qualified via the open-to-everyone Online Qualifier and Nils Naujoks, an old school sim racer who was entered to the Live Finals as a wildcard. 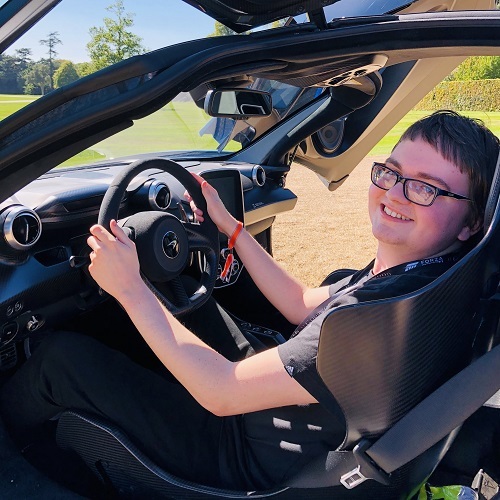 James Baldwin of Veloce Esports earned his spot in the eROC invitational event by emerging victorious in the Renault Esports Series, which was played on Project CARS 2. In addition to his sim-racing ability, the British driver also has real-life experience on the track. 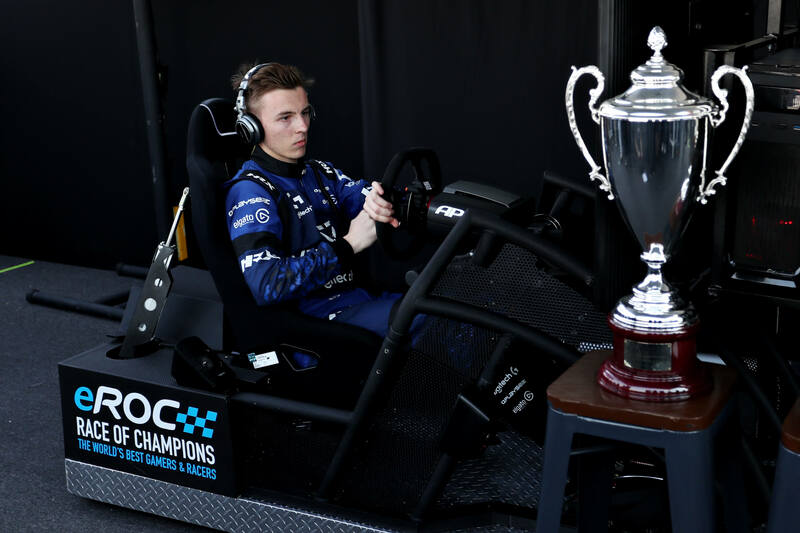 He’s a four-times British Karting Champion and has also competed in Formula Ford, and as he’d prove in Mexico City for the 2019 eRace of Champions, he’s certainly a force to be reckoned with on the track – in both the real-world and racing simulators. All four drivers who made it to the 2019 eRace of Champions were flown out to Mexico City and they each received practice time on the track in the real-world, using all the different cars that would be used in the competition. The next aspect of the event would see them drive one-lap in the ROC Buggy, which was judged by famous names in the motorsport scene, including David Coulthard, Tom Kristensen and Terry Grant. Each of the three judges gave the drivers a score out of four – one judge for pace, one for car control and one for track awareness. Unfortunately for Veloce James, the British driver bogged down at the beginning of this event and was thus the slowest of the four finalists. He therefore earned the fewest points of the four for the real-world portion of the competition at 7/12. Brendan Leigh emerged on top for this one securing almost all the available points at 11/12 – putting him in the lead of the competition. In the sim-racing portion of the contest, the drivers would be competing in 1v1 events. There was a total of 3 cars to drive, with 2 races in each car to be completed. After the first race, the drivers swapped sim rigs to avoid any discrepancies between the setups used at the event. With each competitor taking on 3 opponents, there would be 12 races hosted in total, with Veloce driver James Baldwin securing victories across all his races – putting him in second-place overall. The other 3 drivers each won a total of 8/12 races. At this stage of the competition, Brendon Leigh was in 1st position with a combined score of 19/24. James also matched his score but was rated 2nd due to his weaker performance in the real-world events. To find a true winner, both James and Brendon competed in a 1v1 race in the KTM X-Bow on the real track in two one-lap race events. The Veloce driver won both races and would do the same once more on the sim to be named the 2019 eROC champion. This meant the British driver would be joining Enzo Bonito in the ‘Sim Racing All Star Team’ that would be competing in the Nations Cup. Both sim-racers were in Group B alongside ‘Team Brazil’ and ‘Team Telcel Mexico,’ with Enzo having to take on 2017 Formula E World Champion and ex-F1 driver Lucas Di Grassi of Team Brazil and successfully beating him! James Baldwin would then be taking on 3x Indy 500 winner Helio Castroneves of Team Brazil, but he unfortunately wouldn’t be so victorious in this instance. Enzo would then be racing Mexican NASCAR driver Daniel Suárez but would also suffer a defeat out on the track. Baldwin did manage to secure a victory against another Mexican NASCAR driver, successfully managing to outperform Ruben Garcia Jr.
Due to Group B only having 3 competing teams in total, only the most successful of the bunch made it through to the semi-finals of the 2019 Race of Champions. That honour went to Team Brazil who successfully secured 3 wins, with the Sim Racing All Star Team coming in 2nd with a duo of victories. Team Mexico would finish in 3rd overall with only the 1 race victory. Whilst the Sim Racing All Star Team didn’t progress any further in the competition, their performance out on the track against some of the biggest names in motorsport was undoubtedly an incredible feat for sim-racing. The following day, Enzo and Baldwin would also race each other to decide who would compete in the Individual Championship. The Italian sim-racer would ultimately win and take on several real-world racing drivers in this standalone competition but would suffer defeats from all except one – 3x Indy 500 winner Ryan Hunter-Raey. Overall, this proved to be one impressive weekend for both sim racers, especially Veloce driver James Baldwin, a name we’re certain to hear a lot more in the future as sim-racing and esports continue to make their mark in the world of motorsport.